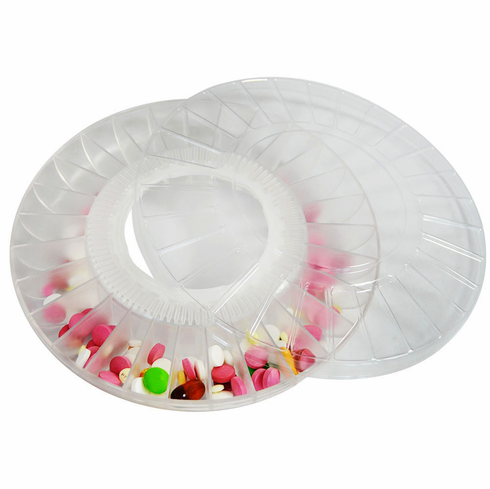 Have the convenience of an extra tray loaded with medications for your e-pill MedTime STATION Automatic Pill Dispenser and e-pill MedTime SAFE Automatic Pill Dispenser. Each medication tray comes complete with cover. Each compartment can hold eighteen (18) aspirin sized tablets. Clear Dust Cover included.